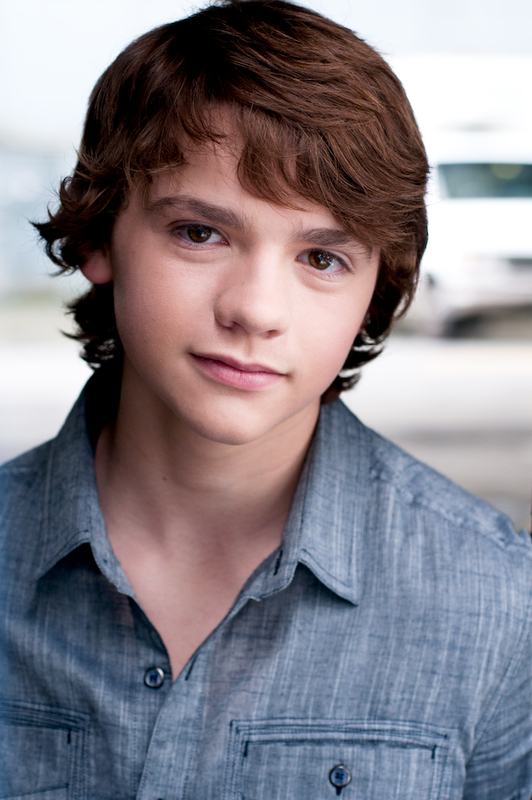 The way Variety tells it Joel Courtney headed to Los Angeles seeking to take some acting lessons and maybe land some commercial work if he was lucky. However, he not only landed a lead in a major motion picture but has also parlayed it into three more jobs within a month of his screen debut’s release. Things worked out much better for him than he could’ve expected as he got into the Super 8 after an extended, elaborate and at times secretive casting process. One in which Spielberg and Abrams gambled on a few newcomers (and won big time) likely in spite of studio pressure to err on the side of experience. The casting process started with an open call. and what can be learned on both sides of the camera in this portion of the story is that open calls can lead to something good. Courtney’s case is one of a natural talent being discovered and it benefited not only the film but, as recent stories have shown, Courtney as well. While some were getting tired of the glut of Taylor Lautner news a while back, as he seemed to be signing deals at a record pace, I saw it as expected and good for him. It’s always been my contention that an actor has to strike while the iron is hot especially if he/she is being offered work they want to do. Fear of over-exposure ought not be a deterrent as it is a high class problem to have. Talent will win out over perception in most cases especially when an actor fits a part perfectly. Courtney had already shot a two-episode stint on R.L. Stine’s The Haunting Hour, a series on The Hub Network, when it was announced that he was attached not only to a new Tom Sawyer/Huckleberry Finn film but also to an indie horror/sci-fi tale called The Healer. The films’ principal photography will occur in consecutive months (August & September) and shoot in Bulgaria and North Carolina respectively. From being a cinematic debutant to suddenly in demand has taken about a month. Of course, as with most overnight successes, it hasn’t truly been that fast. There was a long audition process, principal photography and the worldwide press junkets and after all that one might expect Joel and the kids of Super 8 to be wary of taking on new commitments, however, many of them seem to think as I do and are seeking to keep working while there’s demand. Gabriel Basso is still a regular on The Big C and Zach Mills has signed on to be a regular on The Hub Network’s new series Clue. In closing, I just want to address the fact that Joel is a child actor, which is for the most part virtually irrelevant. The bottom line is he’s a working actor who’s taking advantage of opportunities earned and should serve as a template for future actors who knock it out of the park upon getting their big break and that’s the importance of being Joel Courtney: not being content with or being disoriented by newfound stature but immediately seizing other great opportunities as they come along. I’m very happy for him. He really carried that movie, as far as I’m concerned. I hope he has a long and successful career.